1 year old and barely used fully galvanized dual purpose trailer. 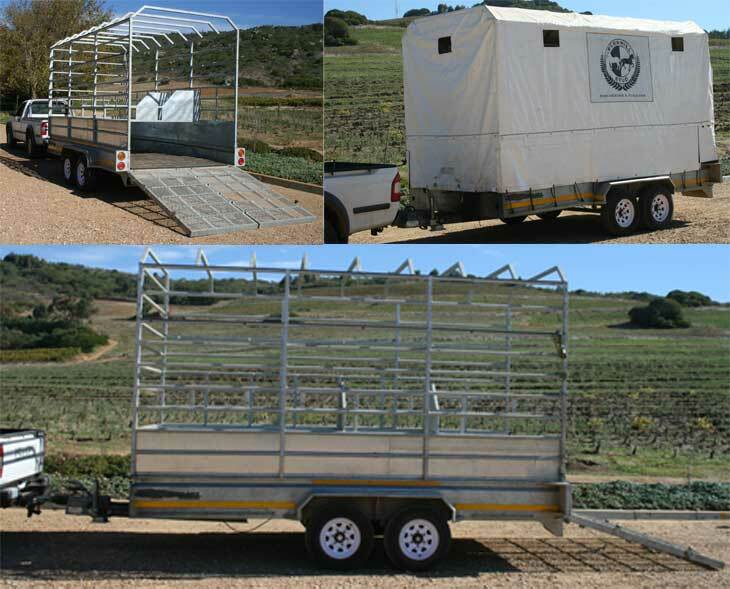 Removable partitions for 8 donkeys down to 4 percheron horses. Heavy duty trailer hitch and custom built heavy duty tarpauline cover. Double ramps and height adjustable frame. Roadworthy certified.